You agree to fully indemnify the CAP Association regarding all royalties, fees and any other monies owing to any person by reason of your breaching the following requirements, even after your entry is submitted to the website. The entrant must confirm that they are the sole copyright holder of the material or have been authorised by another copyright holder to submit the material to this competition. Copyright of the photos is retained by the photographer. 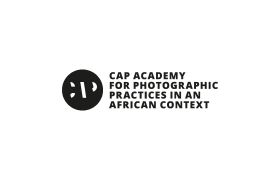 The CAP Association recognises that the entrant – the author of the photograph – retains full and complete ownership of the copyright in each submission. Entrants must accept that any image submitted to the competition may be used by the CAP Association to enable the delivery of the prize through the CAP Association and for future publicity and marketing purposes for up to five years. The entrant hereby grants the CAP Association a non-exclusive, irrevocable license to use each submission throughout the world for five years in all media and for any use related to the promotion of the competition, but not limited to: (a) judging the competition, (b) public exhibitions promoting the competition and piclet.org, (c) inclusion within any material promoting either the competition, the CAP Association or any exhibition organized by the CAP Association; in the promotion of CAP Prize, but not limited to: the website, books, magazines or other publications, (d) inclusion in CAP Prize-related products (i.e. a prizewinners catalogue) to be sold by the CAP Association or any third party following an individual agreement by the author (you), (e) sub-licensing the entries to the press for reproduction in connection with the prize and any exhibition, (f) allowing viewers of the website to view images on a computer screen or mobile device, and to store such pages in electronic form on disk or mobile device for their personal, non-commercial use only. Entrants may submit color and/or black and white photographs taken up to three years before the start of the competition (after November 2015). Entrants may enter with one particular project once only. If entrants wish to enter with more than one project they will have to create separate accounts. 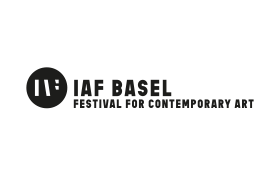 All entries must be submitted via the website no later than 11.59pm EST (Zurich time) on Thursday February 7 2019. Any photos submitted after this time will not be considered for entry. Upload your images in jpeg format. Your images must be in sRGB format and 100% quality. The minimum size of your images should be 2,500 pixels wide and 1,200 pixels tall if they are landscape, and 1,200 pixels wide and 2,500 tall if they are portrait. Square images should be greater than 2,500 pixels on both sides. The file size of each image should not exceed 5 MB. The CAP Association DOES NOT sell your images. CAP Association employees, advisors and judges may not enter the competition. The judges' decisions are final and once they have been made, no further negotiations with entrants will be entered into. The CAP Association assumes no responsibility for any incorrect, inaccurate or incomplete information, whether caused by website users or by any of the equipment or programming associated with or utilized in the competition. The CAP Association assumes no responsibility for technical, hardware or software failures of any kind, for lost network connections, corrupt transmissions, other problems or technical malfunctions with regard to the competition. The CAP Association assumes no responsibility for any error, omission, corruption, interruption, deletion, defect, delay in operation or transmission, communications line failure, theft or destruction or unauthorised access to or alteration of submitted works. The CAP Association is not responsible for any problems or technical malfunction of any telephone network or lines, computer online systems, servers, computer equipment, software, failure of any emails addressed to the CAP Association on account of technical problems, human error or traffic congestion on the internet or any website, or any combination thereof, including any injury or damage to your or any other person's computer related to or resulting from participation or downloading any materials in the competition. The CAP Association assumes no responsibility if for any reason a contestant’s entry cannot be viewed or is not capable of running as planned, due to either infection by computer viruses, bugs, tampering, unauthorised intervention, fraud or technical failures. In no event will the CAP Association, its parents, affiliates, subsidiaries and related companies, event partners, its advertising or promotion agencies, or its officers, directors, employees, shareholders, representatives or agents be responsible or liable for any damages or losses of any kind, including direct, indirect, incidental, consequential, special or punitive damages arising from contestants' access to and use of the website. Without limiting the generality of the foregoing, everything on the website is provided "AS IS", without warranty of any kind, either express or implied, including but not limited to the implied warranties of merchantability, fitness for purpose or use or non-infringement. The CAP Association reserves the right to disqualify any participant on reasonable grounds at its discretion.